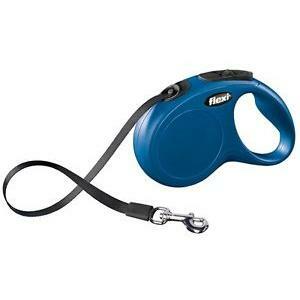 The Flexi New Classic Medium/Large Retractable Tape leash is suitable for meduim to large dogs up to 50kg. It has a comfortable breaking sysytem and very sturdy tape lead. Extends to 5 metres. Avaliable in blue or red.